It’s been a while since I’ve read a book by a new-to-me author and felt like reading everything she’s ever written. I have Guy to thank for the discovery of Irish writer Deirdre Madden. When he reviewed her novel Time Present and Time Past (here’s the link) I knew right away this would be a book I’d love to read. When I looked at her other novels Molly Fox’s Birthday tempted me even more. 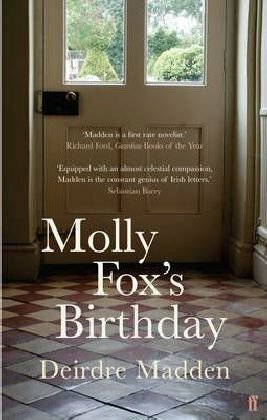 Molly Fox’s Birthday is set in Dublin and tells about one day in the life of the narrator, a playwright and best friend of Molly Fox. Molly is a much-admired, famous theatre actress. She’s spending some time away from Ireland and she and her friend swap apartments. While the narrator stays in Dublin, Molly will be staying at her apartment in London. 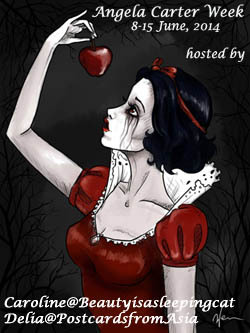 The narrator has just started a new play and tries to overcome a severe case of writers’ block. Instead of writing, she spends the day thinking back on her life and her friendship with Molly and their mutual best friend Andrew. One little thing leads to another, one thought leads to the next. While not a lot happens during that day – the narrator goes shopping, Andrew drops in, a stranger rings the doorbell – we see the richness of a complex life unfold. A life that is as much rooted in Irish history as in the love for theater and acting. The different elements all lead to an in-depth exploration of many other themes: religion, friendship, family, acting, reality, dreams, authenticity. I liked how she shows the world of the theater from different sides. The side of the playwright, the side of the actor, the view from a fan, and how she draws parallels. Her own brother is a priest and a lot of what he’s doing, when preaching, is acting as well. One strand of thoughts circles around how much any person acts and how much someone can ever know an actor. Until the end of the book, Molly stays an enigma. Just like she hates celebrating her birthday, she hates talking about her feelings and withdraws into her acting if someone comes too close. This doesn’t mean Molly doesn’t reveal herself. Her apartment which is carefully decorated allows a glimpse into her soul. While the narrator thinks about this, we realize that one of the reasons why Molly, Andrew and the narrator are such close friends, is that they share this reservation. As rich and detailed as their inner lives are, they are not very explicit people and are interested in what is left unsaid, maybe more than in what is said. In the end, when someone like Molly decides to talk – it can always be to reveal something or to hide even more. She may always play a role. But that’s true of many people, only actors are much better at selling the idea of themselves they want others to buy. It’s hard to do a book like this justice because it’s so complex and multi-layered. And because I loved it so much. A few quotes may help to give you a better impression. There are forms of communication that drive people apart, that do nothing other than confirm distance. But there are also instances when no connection seems to be made and yet something profound takes place, and this was just such a moment. My hunger for the stage at that time was intense in a way I now find somewhat alarming. I watched plays with the kind of voracity with which small children read books; with the same visceral passion, the same complete trust in the imagination which is so difficult to sustain throughout the course of one’s whole life. Here is one of Molly’s fans telling the narrator why the theater and someone like Molly who brings so much authenticity to the stage is important in her life. You’re locked into this iron routine, cooking and shopping and cleaning, saying things to people and them saying things back to you, and none of it meaning anything, all of it pointless. Maybe it has to do with getting older, I don’t know, I feel like I’m sleepwalking through the years, but I want to wake up. Reality, you know? Why is it so hard to find? And why do so many people not seem to notice this? Why don’t hey care? Yes, I did go to see The Duchess, and all of this was very much on my mind that particular evening. I was worn down with it all, I felt stultified. And then the play – well, Molly Fox in particular, she was electrifying. All that dullness, that unreality I’m talking about, she blew a whole through it with language, with that voice of hers; i wa like an explosion going of in your soul. Of course, since this book is the story of one day, set in Dublin, and one of the main protagonists is called Molly, we are reminded of Ulysses. I didn’t try to dig deeper, but the connection seems pretty obvious. Molly Fox’s Birthday is a wonderful celebration of the interior life, art, theatre, friendship and it’s an exploration of how daily life, despite the struggles, doesn’t have to turn into something dull and devoid of authenticity. There’s always meaning, you just have to look for it. I tend to really like introspective tales that focus on little space in time. Art can produce such fruitful results when it looks at the complexity of the small. The idea of the train of thoughts each leading to another sounds like a great literary device. Thanks for the mention Caroline. I have this one on the shelf too, and I agree, one book makes you want to read the lot. This sounds as though it’s another look at the minutia of life. Have you read Graham Swift’s The Sweet-Shop Owner? I bet you’d like that as your review made me think of Swift’s book which is a day-in-the-life of a person who recollects his history. You’re welcome. I’m sure you’ll like this one as well. I’ll read the one you reviewed next. I have read another Graham Swift which I liked a lot, so thanks for the recommendation. Thanks, Brian. I thin k this is a book you’d like as well. I haven’t even captured a tenth of its richness. She’s THE discovery of the year so far. Magnifying small things can be much more complex that just adding one big event to the next. I had exactly the same reaction to this book when I read it – I loved it, and am so glad you did too. But you remind me that I never actually put my intentions into practice. I have her novel, Authenticity somewhere and must dig it out. I really loved the way she wrote. This doesn’t surprise me at all. I thought she’d be a writer you’d like. I really hope to read more of her but it happens so often that I leave an author after a particularly positive experience. I’m glad you confirmed the connection with Ulysses because as I read your post, I figured there had to be a connection. Of course, I have to read the book now! I named my dog Molly, after the fabulous Molly Bloom. Madden sounds like the sort of insightful writer I’m always searching for and I really like the bits of the book you quoted. Thanks for the lovely introduction to her work. I hope you will read and review it. As Ulysses is much fresher in your mind than in mine, I’m sure you’ll be able to discover more and I’ll be interested to hear about it. I’m pretty certain you’ll like her. I hope so at least. There are other books by her which sound equally good. I never made the connection between your dog’s name and Molly Bloom but – of course. I’d not heard of Dierdre Madden before but I like the sound of the book so will definitely give it a go. And I’m glad to hear someone else was inspired to name in honour of Molly Bloom – I once bought an ancient Vauxhall Viva for £50 with a mate from an Irish doctor at the local hospital – and we called it Molly Bloom in honour of its origins! I hope you’ll like the book. I’ll be interested in your thoughts. Who would have thought that Molly Bloom inspired this much. I suppose that car didn’t live very long. I think Molly Bloom’s soliloquy lasted longer than that car!!! But for 50 quid can’t complain too much! Beautiful review, Caroline! The basic plot (two people exchanging their homes for a short while) makes me think of the movie ‘The Holiday’ 🙂 I think it will be fascinating for me to find out how that idea will work in a literary novel. I loved all the passages you have quoted. My favourite was the first one about making (and not making) connections. It is so beautiful and profound. 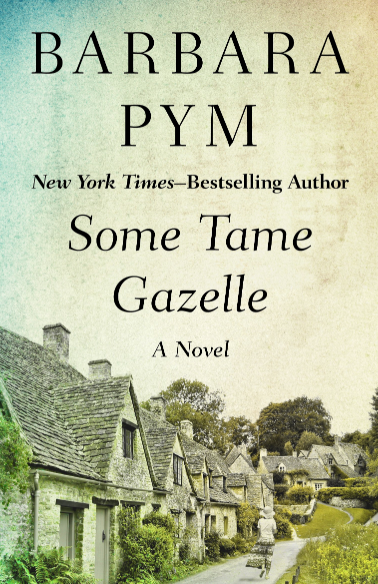 Thanks for writing about this beautiful new-to-me author. I could have quoted most of the novel. It’s so rich. I really want to read more of her. I’d be so curious to know how you’d like her. This sounds like something I’d really like, so thank you for the great review, Caroline. Have never read anything that really explores life in the theatre, so that intrigues me as well. Thanks, Carole. I think you will like it. I had many actor friends at some point and a lot sounded familiar. I was also interested in the view of the playwright. Or how they work together, actor and writer. If the next novel is just as good, I’ll really read everything she’s written. I have wanted to read this book for so long–even when your post came up in Feedly and I only saw the cover of the book before reading your reaction I thought of going to grab my own copy (I have too many other books in progress right now….must resist), but I am happy to see you had such a good experience. I think every review I have seen of this book has been glowing. Does Molly ever physically enter the story? I sort of like a character who is so very much the focus yet is never actually present–sometimes it is what isn’t said or what is said by others that gives such an interesting perspective! Must bump this one up the pile! I think you’ll like it very much. I think t’s fantastic. Sometimes this kind of book plaes after a few days or weeks but this one stays quite fresh in my mind. I’m lookin g forward to read your thoughts. In the flashback sequences Molly is present and there’s a phone call towards the end, which brings her near but she’s more absent than present really. As besfits an actor, whe’s seen as if on a scene. It’s all so very well done. I love reading your review. It shows your love toward the book so much. I haven’t had an amazing book for quite sometimes now. When I read the title the first thing that came to my mind was the name of the author…it sounds Irish and she is indeed Irish. I really loved it. I’m glad you liked the review. It might not be your kind of book, although it’s very Irish. I’ve never read an Irish author I didn’t like so far.